We interrupt or normal tech geekery to go a little gaga and goo-goo about a subject that it likely to come as a saving grace to you if you are at that life stage involving the reproduction process, to whit: messy babies during feeding time. Now, while it might not be on Paul Graham’s list of big problems that need solving, it is a big problem for a lot of people, and the way Spuni came up with a solution should satisfy the tech oriented amongst us, especially since it’s been created by two former graduates of MIT, and was part inspired by an Instagram photo from well known VC investor Chris Sacca. In summer 2011, two MIT friends – Marcel Botha and Trevor Hardy – brainstormed their idea for a new kind of baby spoon. After working on it for a few months they realised they had a good idea – but was there a genuine market? Botha and Hardy realised the geometry of normal spoons did not map to a baby’s method of eating and came up with “tulip” profile designed to trigger the instinctive latching reaction that babies develop during breast and bottle feeding. That means the baby ends up sucking the food off the spoon, with less spillover – leading to less mess, greater hygiene and – let’s face it – calmer parents. 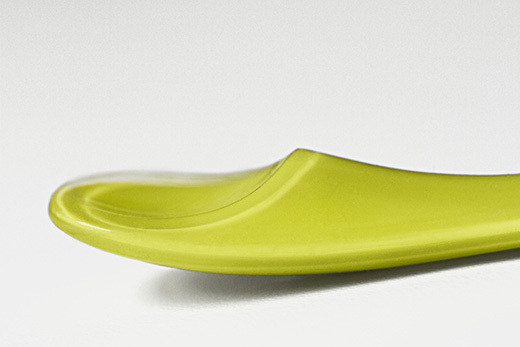 Thus, Spuni is an ergonomically designed spoon to “help babies eat solid food with less mess”. “Big deal” you say. 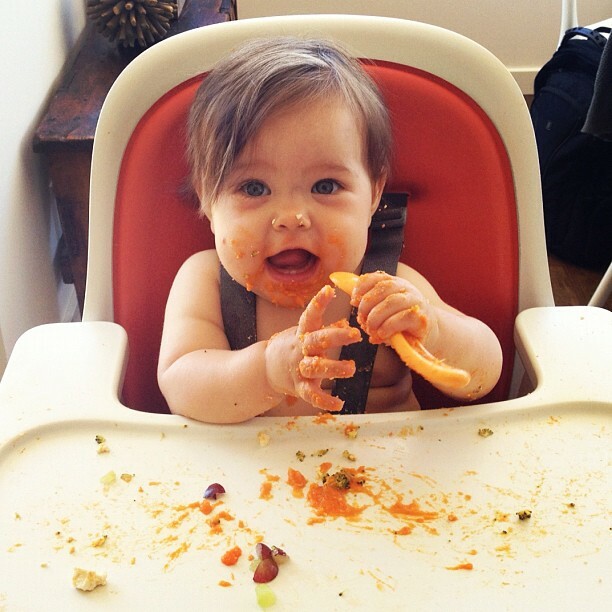 Well, there implications: messy baby faces, messy table, chairs and floors, and all because baby spoons are simply smaller versions of adult spoons, not designed for their mouths and natural reflexes. You can grab and early production run on their IndieGoGo page. Employing advanced CAD and digital manufacturing methods they came up with a three-step injection-mold process. The rigid inner structure is made from colored Thermoplastic Elastomer (TPE) with a softer over-molded transparent TPE outer material. It’s all dishwasher safe, non-toxic and Phthalate (BPA, BPS) and PVC free. And like the clever marketers they are, they will offer a limited batch of 100 wood spoons that are digitally fabricated out of Osage Orange wood, recommended for long lasting food grade utensils and finished in a food-safe mineral oil. Plus, for the discerning parent, there will be a numbered batch of seven sterling silver spoons, for that, er, special gift. Initially Spuni has partnered with a German manufacturer to make the first batch of commercial spoons for the United States and European markets. The limited editions in wood and silver will be manufactured in Brooklyn, New York. Spuni may be too late arriving for Sacca’s kids – but it’s not too late for yours. You can follow Spuni on Facebook or Twitter.